A few weeks ago, I was invited to take part of the biggest break of the RPA & Communicate team. Headed by its President Philip Abadicio, RPA, on ts 18th year takes a big leap as the launched their own version of Real, Personal and All-That Style, the StyleRPA TV. After making a splash in today’s most popular medium of the internet, your latest lifestyle news from online lifestyle magazine StyleRPA.com is now not only your laptop screens, but on your televisions as well. On the said launch, we were treated to a night of elegance and fun as we got to see first what they have in store for everyone! StyleRPA, both the television show and the online lifestyle magazine, are the handiwork of RPA & Communicate president Philip Abadicio, who has been successful in public relations, events management, marketing, and publication for nearly two decades. Started out as a young entrepreneur and, knowing the importance of communicating the right information to the right people, Philip eventually moved on to expanding businesses through public relations. RPA & Communicate has served many clients such as the Araneta Group of Companies, Levi Strauss Philippines, Nickelodeon, Yahoo! and Warner Music Philippines. StyleRPA TV is hosted by Amanda Elvin, who by the way looks a lot like Anne Curtis, Ria Casco, and Nicole Reyes, who are also involved with work with StyleRPA.com. 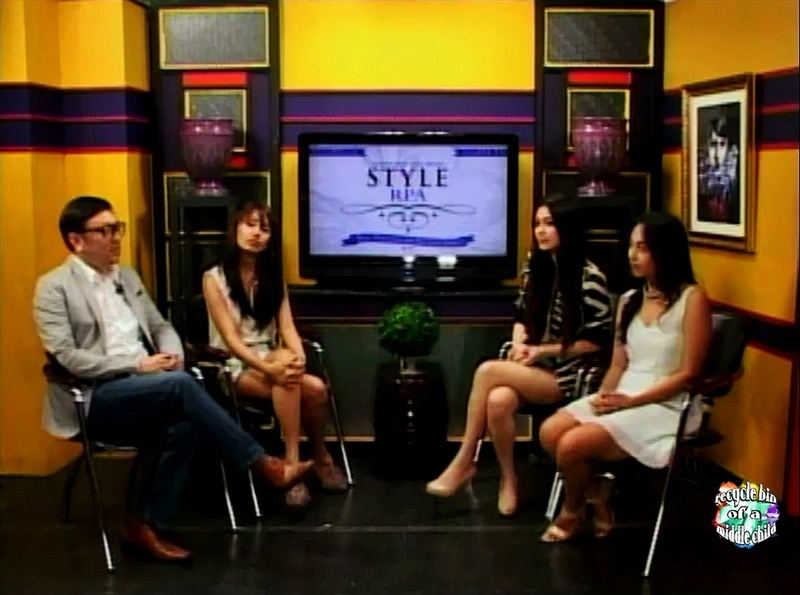 Amanda and Ria, Communication Arts graduates and Nicole, an English Literature graduate, engage the viewers in discussions on lifestyle news and with the show’s guests. StyleRPA TV’s segments deal with the most interesting happenings in lifestyle every week, and feature great new finds like restaurants, artists and musicians, and events. You can catch StyleRPA TV on GNN Channel 8 on Destiny Cable and on free cable nationwide on Saturdays, 7 to 8 p.m. with replays on Sundays at 8 to 9 a.m.
That night, all the guests didn't leave empty-handed just as what one will experience when they see StyleRPA TV!